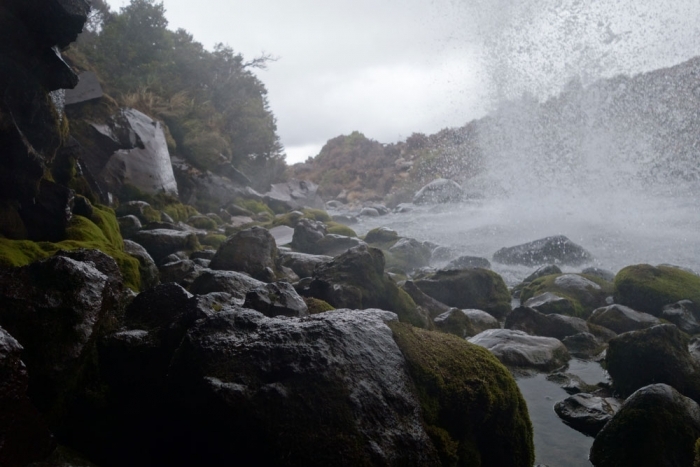 Hunting for Mount Doom (Mount Ngauruhoe in real life) and looking at lots of pretty waterfalls around Lake Taupo and Tongariro National Park. We arrived at Lake Taupo before dark and set up in a free campsite just south of Huka Falls. 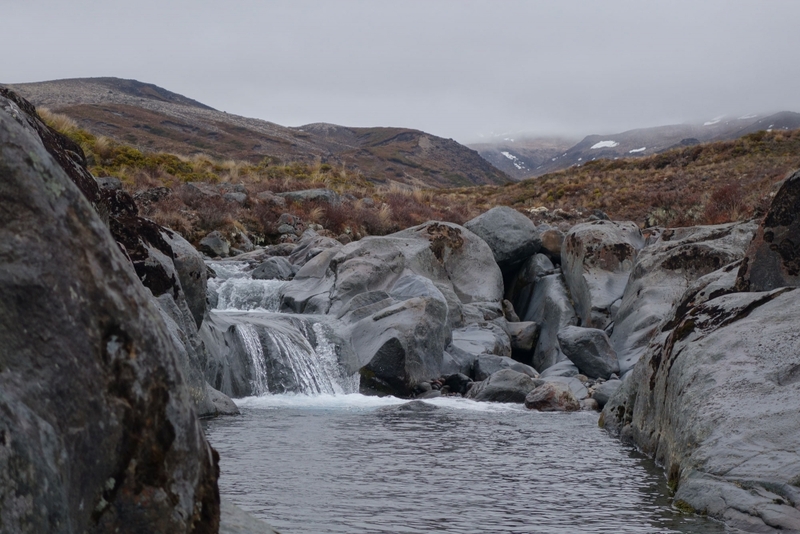 The next morning when we woke up we decided to drive up to Aratiatia Dam and Rapids. This is a place that has been turned into an energy source but a couple of times a day, the dam opens and the calm river turns into the rapids it once used to be. We made it for the 10am opening and it was an interesting sight. The river was wild and the water so so blue! 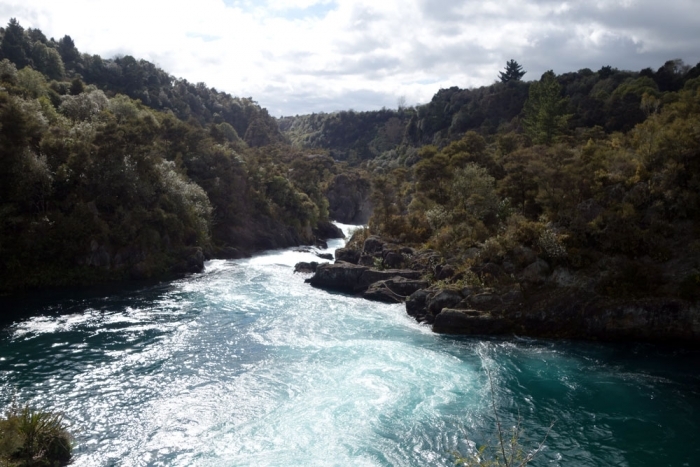 We then drove towards Taupo and stopped at Huka Falls. Again the water was incredibly blue and the falls themselves a very pretty sight. 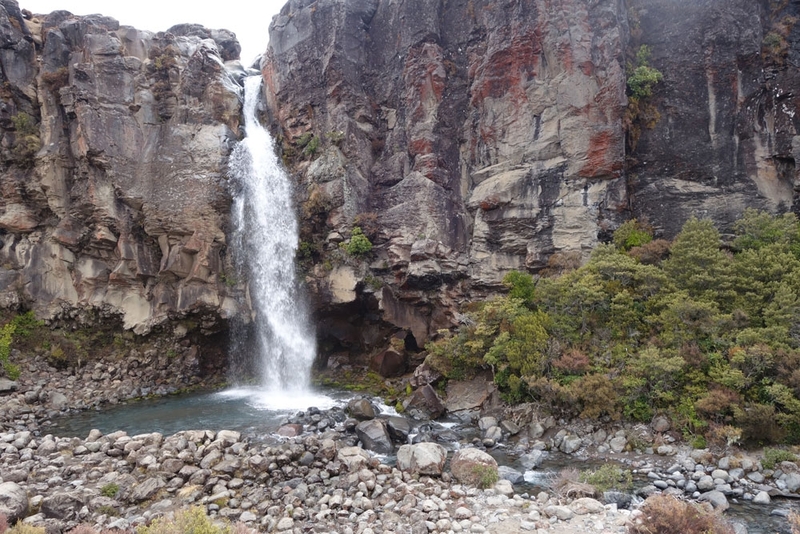 After this we continued to head South to the Tongariro National Park. Before arriving in New Zealand we had planned to possibly do here Tonagariro Alpine Crossing if the weather was reasonable enough but after getting to New Zealand and seeing the weather and also seeing that our level of fitness was pretty poor (or maybe just my own), we decided we would probably do one of the smaller tracks so that we wouldn't die on day 6 of our trip! The visitor centre at Whakapapa had loads of information about the tracks and turns out, we couldn't have done the alpine crossing anyway given that you needed ice picks and full snow gear to do it!! We started with the ridge track instead which is about 25mins each way. It was only a little steep and when we got to the top we were greeted with a view of well nothing really. 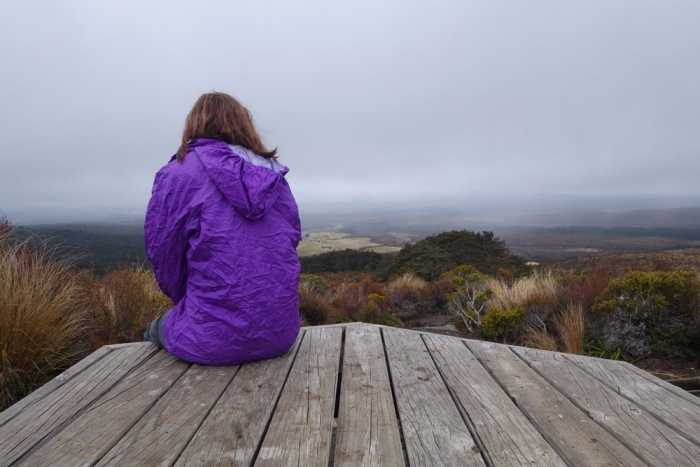 There was so much cloud cover and fog that we couldn't see any of the three volcanoes and my hopes of seeing Mount Doom (Mount Ngauruhoe was used for Mount Doom in The Lord of the Rings movies) were shattered. We also decided to do the walk to Taranaki Falls which is a 2 hour loop track and pretty doable in all weather conditions. 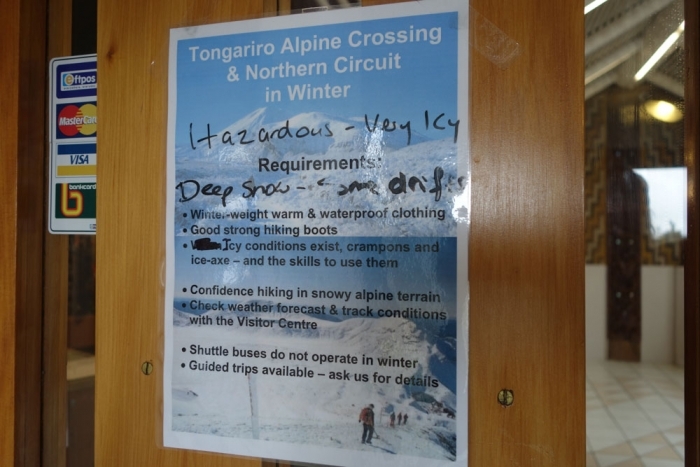 If you do the track counter-clockwise you have a better better views of Mount Ngauruhoe apparently but unfortunately for us the cloud only lifted enough to tease us with it's base but we never saw more than that. The falls themselves however are worth the walk alone, we walked right down to the pool and even managed to climb behind the fall of water (without getting too wet I should add) which was very fun! Driving out of the park we stopped at the Tawhei falls which are only about 5-10mins off the road and another pretty waterfall to see although not as impressive as Taranaki falls. We decided to call it a day after that one and head to our campsite. Luckily we did as the rain came on with a vengeance as soon as we reached the car. 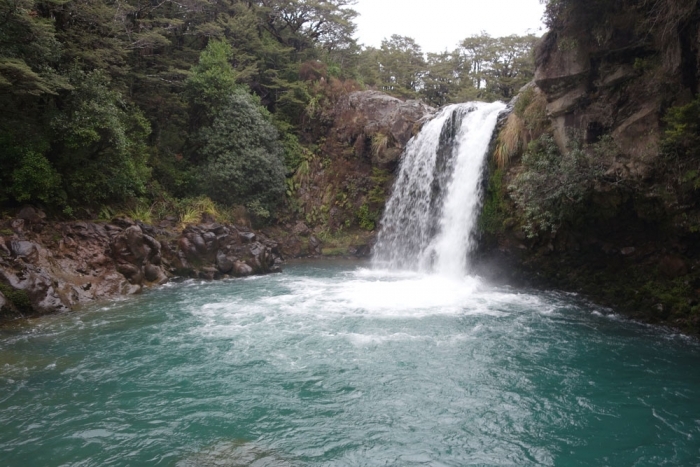 That night we stayed at the Taumarunui Holiday Park where the owners are so friendly and the facilities are super clean and the showers (our first one for several days) were absolutely amazing and very much appreciated!! We are off to the Waitomo caves tomorrow for some black water rafting and glowworm views which I'm quite excited for...let's hope the rain stays off today so it's not toooooo extreme!